A primary responsibility of any public space is to offer a safe environment that allows people to use it comfortably. To maintain safety and security, exit and emergency lights are a must in public places. 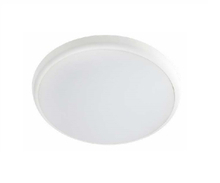 The main advantage of installing LED exit lights is to ensure that your space is never without light. LED emergency lights need to be bright and long-lasting to make your space secure in the event of an emergency.LED exit lights have letters in bright LED in green or red and can either be used in a single or double face configuration. 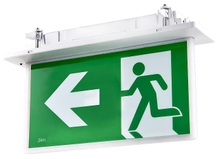 Exit or emergency lights can be used for retail, commercial or industrial applications. 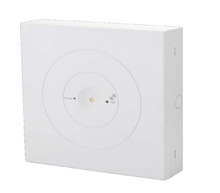 They make your space secure and prevents accidents caused by power deficits. Moreover, in the event of an emergency, LED exit lights can guide you to safety. 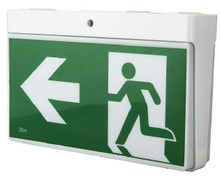 The emergency lighting brightens up the exit signs and occupants can easily find their way out. If you wish to install LED exit lights, LED emergency lights or track lights in your premises, get in touch with Everglow Lighting. You can also call us on 1300 133 471. Copyright  2016 - 2019 Everglow Lighting All rights reserved.